The ARCs are in for the latest novel from celebrated Brazilian actress and bestselling author Fernanda Torres. The novel traces Mario Cardoso’s meteoric rise to fame in the 1960s, on stage, in arthouse cinema, and prime-time TV. But after years on top, the decadence of stardom has taken its toll. Mario hopes that a turn as Shakespeare’s mad monarch will help him end his career on top. But a wicked fit of laughter ends those hopes, sending Mario spiraling downward until he finds himself giving one last performance on a most unlikely stage. More on the book here. I have some ARCs to send your way if you’re interested in reviewing the novel. You can now pre-order my translation of celebrated Brazilian actress and writer Fernanda Torres’s Glory and Its Litany of Horrors, in which a star of stage and screen’s disastrous turn as King Lear sends him into a tragicomic tailspin, directly from the website of Restless Books, which will publish the novel in July of this year. This was likely the most fun I’ve had translating a book, and Fernanda’s sharp wit will have you chuckling at nearly every turn. You can also email me regarding review copies. The reviews for my translation of Rain and Other Stories continue to come in. Here is what people are saying. Vanity Fair has named Mia Couto’s Rain and Other Stories (translated by yours truly) as one of its must-read books this winter. An assortment of transcendent sketches, fables, and creation tales, Couto’s stories are rooted yet timeless, both whimsical and deeply spiritual—essential qualities of the work of the masterful Mozambican author. You can read more about that here, and you can (should?) order the book here. Please to say that my translation of Martha Batalha’s The Invisible Life of Euridice Gusmão has made the Dublin Literary Award longlist. Whether Martha and I make the shortlist of ten titles on April 4 is anyone’s guess, but it’s nice to have the book recognized. The first reviews are in for my translation of 2015 Man Booker International Finalist and Neustadt Prize winner Mia Couto. Among the kind words critics have written: “Becker’s translation conveys Couto’s precise use of language to capture the innately elusive nature of human experience”; “[Couto’s] descriptions of landscapes and people have the power and mystery of the best style of folklore…capture[s] the innately elusive nature of human experience”; “Translator Becker ably preserves Couto’s affinity for neologisms.” Read more here and here. Image: José Alves de Olinda, Ark of Eshus. Wood, vegetable fiber, and metal. Museu Afro Brasil, São Paulo, Brazil. I had the enormous pleasure of working on an issue of Afro-Brazilian literature with John Keene for Words without Borders, and you can see the result now in WWB. Writers and translators include Keene, myself, A Public Space fellow and PEN/Heim-winner Bruna Dantas Lobato, Dan Hanrahan, Felipe Botelho Correa, Afonso Henriques de Lima Barreto, Cristiane Sobral, Ricardo Aleixo, and Franciane Conceição Silva. I’m very pleased to share this essay I wrote (in Portuguese) for leading Brazilian literary magazine Suplemento Pernambuco. I look at Telles’s novel, written and published during the 1964–1985 dictatorship in Brazil, and how its message is still every bit as relevant now in the era of Trump and Bolsonaro. The inaugural Pessoa Festival, which I’ve co-founded with Mirna Queiroz, took place on November 16 and 17 in New York (and online via a live webstream), garnering headlines in Portugal and Brazil. The festival brings together writers from across the Portuguese-speaking world and writers from the US in conversations about their work. This year’s guests included John Keene, Paul Beatty, Rivka Galchen, Leslie Jamison, Estevão Azevedo, Carol Rodrigues, Alexandre Vidal Porto, Isabel Lucas, Roberto Taddei, Andy Tepper, Susan Bernofsky, and Eric M. B. Becker. If you’d like to know how you can support the festival or otherwise get involved, please get in touch at pessoa-festival.com/contact/. I am both thrilled and grateful to announce I’ve been awarded a National Endowment for the Arts Literature Translation Fellowship for my translation of the short stories of Lygia Fagundes Telles. A bit about Telles: a contemporary of Clarice Lispector and Hilda Hilst, she’s been described by renowned Brazilian literary critic and Guggenheim Fellow as Wilson Martins as “[writing] with the same authority as Machado de Assis.” Her work has also drawn comparisons to writers such as Katherine Mansfield and Doris Lessing. Another important admirer was none other than Nobel Prize-winner José Saramago. You can read more on the NEA website. My translation of Paulo Coelho’s Hippie, a fictionalized account of the author’s own experiences on the “Hippie Trail,” is out today from Knopf. On the 50th anniversary of May 1968, Coelho looks back on the dreams of a generation that longed for peace and dared to challenge the established social order. I’m happy to announce that my colleagues and I at Words Without Borders have been awarded a Whiting Foundation Magazine Prize. Congratulations to fellow winners A Public Space and Fence. You can read more about the prize here. I’ve got a new translation of an essay by noted Brazilian theologist Maria Clara Bingemer on Ross Douthat’s To Change the Church: Pope Francis and the Future of Catholicism. The essay, which looks at Douthat’s rather critical view of the papacy of former Cardinal Jorge Bergoglio, is in the July/August 2018 issue of Foreign Affairs. You all know Veronica Scott Esposito and her terrific Quarterly Conversation. That’s why I sure felt honored when she asked me to write on the subject of Graywolf Press’s Into English and the task of the translator. What I hope we ended up with was a closer look at the different ways we can consider translations and create a framework for deeper discussion of the translator and what it is a translator does. You can read the essay here. What tough deliberations my fellow jury members and I had before us in deciding this year’s PEN Translation Prize. Though I can’t tell you who the winner is (that you’ll have to wait to find out on February 20 in New York), I can tell you that the finalists, announced here and on Mashable this morning, are the real deal. I’m very pleased to share that the New York Times Book Review has a glowing review of my translation of Batalha’s Invisible Life of Euridice Gusmao. Says the Times: “In this translation from the Portuguese by Eric M. B. Becker, Batalha’s empathy is buoyed by puckish wordplay and nostalgia for a time when an act of emancipation entailed a manual typewriter and a good smoke.” You can read the entire review here. Recently, I interviewed Rosmarie Waldrop about Burning Deck Press, the experimental poetry outfit she ran with Keith Waldrop for 56 years before closing shop this month. Hard to complain about the recent coverage my translations have been receiving. Please to say that Jane Ciabattari has included my translation of Silveira’s novel, told through the eyes of twenty generations of women (starting in 1500 and ending around 2002) and covering the often violent, wild history of Brazil. Read more here. Today (December 12, 2017) is pub day for this historical novel by Maria José Silveira, which I translated for the excellent Open Letter Books. You can get your copy here. Today, Lit Hub has published an excerpt from my translation of Maria José Silveira’s Her Mother’s Mother’s Mother and Her Daughters. You can read it here. I had to honor of participating in the 10th edition of Conexões Itaú Cultural in São Paulo that took place from November 8 to 10. If you would like to watch (in Portuguese), you can find the panel on Youtube. The good news is that Maria José Silveira’s novel about the history of Brazil as told through the lives of the women of a single family is now available for pre-order. Official pub date is December 12. An excerpt from my translation of Martha Batalha’s debut novel The invisible Life of Euridice Gusmao (OneWorld, 2017) is up now at the Literary Hub. Happy to share that my translation of an excerpt from Brazilian novelist Daniel Galera’s Twenty Past Midnight is available in the upcoming issue of Freeman’s: The Future of New Writing, alongside 28 other terrific authors and translators. Pleased to say that Martha Batalha’s The Invisible Life of Euridice Gusmão which I translated for Oneworld and has been out in the UK since September 7, continues to get stellar reviews. The Daily Mail, says the novel “brims with indeed with invisible life,” while the Huffington Post has named it a fall 2017 must-read. At the kind invitation of Taize Odelli, I put together a few thoughts on contemporary Brazilian poetry being written by women. In particular, I look at the dialogue between poets Marília García, Angélica Freitas, Ana Martins Marques, and Alice Sant’Anna and other poetic traditions. The folks at Kirkus have given my translation of Martha Batalha’s debut novel a glowing review. Congrats to Martha! You knew it was coming, and here it is: the shortlist Ottilie Mulzet, Carol Apollonio, and I had the pleasure to select for the American Literary Translators Association National Translation Award for Pros. Carol Apollonio, Ottilie Mulzet, and I had the privilege to carve out a longlist for the 2017 National Translation Award. See who made it here. In one of my prouder moments in my editing career, I’m happy to announce that Itaú Cultural has decided to fund Alison Entrekin’s translation of Grande Sertão: Veredas, the masterpiece of João Guimarães Rosa that is often compared to Joyce’s Ulysses. In 2015, WWB solicited a sample from Entrekin, as I’d known for some time that she was working on this project. After WWB’s publication of a selection from the novel and an essay by Entrekin explaining the need for institutional funding for this mammoth project. This is great news, and we should all be very pleased that Alison is taking this on, because this is one of the fundamental works of Western literature. A good translation is long overdue. More on the project over at Words without Borders. It’s October 31 again, which means it’s “Dia D,” the birthday of Carlos Drummond de Andrade, the greatest Brazilian poet of the twentieth century if not of all time. (The annual event, an initiative of the Instituto Moreira Salles, seeks to celebrate and keep alive the memory of Drummond and his work.) Though best known as a poet, Drummond considered himself a journalist first and foremost, and his crônicas are spectacular. This one, which followed Brazil’s loss to the Italian squad in the 1982 World Cup, reflects on futebol in Brazilian culture. Looking to move past the debate over whether Bob Dylan actually deserved the 2016 Nobel Prize for Literature, I spoke with Brazilian writers Fabrício Corsaletti, Leonardo Gandolfi, Claufe Rodrigues, and Luís Augusto Fischer about the influence of Dylan on Brazilian letters and the song as a literary genre over at WWB Daily. I had a brief conversation with Claufe Rodrigues about the reaction (mine and others’) to the announcement that Bob Dylan—Minnesota’s second Nobel Prize winner in the Literature category, the first being Sinclair Lewis (who was also the first American writer to ever win the award)—had been granted literature’s highest honor. Interview to air October 14 at 9:30 p.m. Brasilia time on GloboNews. I had the pleasure of translating the short story “My Work” by Brazilian poet, fiction writer, and translator Ismar Tirelli Neto as part of a new partnership between New York-based Words without Borders (where I’m editor) and Mirna Queiroz’s Revista Pessoa. Those of you who saw the opening ceremony of the Olympics here in Brazil no doubt are wondering who the poet whose work Judy Dench was reciting. The poem, “A flor e a náusea,” is one of poet Carlos Drummond de Andrade’s best. In case you’re interested in reading more of his work, here is a short crônica he wrote following Brazil’s loss to Italy in the 1982 World Cup in my translation. The sporting event is different but Drummond’s words are still every bit as pertinent to the current moment. Glad to see the folks at Lit Hub featuring selections from the book-length anthology of Brazilian women writers out now from PEN America. It was a true privilege to co-edit this collection with Mirna Queiroz of Revista Pessoa and to feature the work of 13 writers from the 2016 Olympic host country. My thanks to the Lit Hub folks, and to all the truly top-notch writers and translators who were part of this project. You can get your copy here: http://glossolaliamag.org/issue-2. I’ve finally gotten around to putting a few thoughts together on Flip 2016, my first visit to the international literary festival now in its fourteenth edition. Among many great Words without Borders contributors such as Svetlana Alexievich, Álvaro Enrigue, Valeria Luiselli, and Gabriela Wiener, there was a standout line-up of terrific Brazilian writers like Marcília França Castro, Alice Sant’anna, Noemi Jaffe, and Marília Garcia. Also discussed: the representation of women and Afro-Brazilian writers. My thanks to Liv Brandão of O Globo for the conversation about my work translating Brazilian poets Edival Lourenço and Alice Sant’anna, as well as other translations and projects I’ve had the pleasure of editing. The July 2016 issue of Words without Borders, focused on the Brazil beyond Olympic-host Rio de Janeiro, has received mention or articles in The Literary Hub, Folha de S. Paulo, O Globo, and Jornal Opção. And now, the New York Times has recommended Artur Domoslawski’s “Death in the Amazon” as one of the pieces its staff is reading. Enjoyed my conversation with Marcos Nunes Carreiro of Goiânia’s Jornal Opção (complete with many of my bad jokes) about my work as a translator from the Portuguese, the importance of translators in finding an audience for their authors’ work, and the new translation of João Guimarães Rosa’s Grande Sertão: Veredas in Words without Borders. I also had the pleasure of speaking with Yago Rodrigures Alvim, who then wrote this story about the process of literary translation. Maurício Meirelles wrote about two projects I’ve had the pleasure of working on and which are to be released in July 2016, both done in collaboration with Mirna Queiroz, for the Folha de S. Paulo, Brazil’s largest daily newspaper. The WWB issue focuses on writers beyond Rio-São Paulo and a few foreign perspectives, while the PEN book brings work from twelve Brazilian women writers for the first time. Recently, my translation of Mia Couto’s Rain and Other Stories (the name we settled on for the collection Estórias Abensonhadas) became available for pre-order on Amazon. I’d recommend, of course, that you buy it at your local bookstore when it comes out in June 2017. Perhaps you might even let them know you want it and they’ll order a stack. Adam Morris and I discuss Noll’s only novel available in English (a second, Atlantic Hotel, is forthcoming from Two Lines Press in Morris’s translation) and its relation to Brazil’s current political climate over at Guernica. Have a read! I’m very pleased to share that the excellent World Literature Today has accepted one of my translations of a short story by Brazilian writer Lygia Fagundes Telles. Though Telles is an absolutely fundamental writer in twentieth-century Brazilian literature, nearly all of what’s been published in English up to this point has gone out of print (with the notable exception of The Girl in the Mirror, republished by Dalkey Archive Press a few years ago). Look for it in the May 2016 issue of WLT. Update: You can find the Lygia’s short story “The Green Ball” right here. Most of you probably know Rowan Ricardo Phillips as a poet. If you’re lucky, you also know his work as a translator, too, including such poets at Melcion Mateu over at this month’s Words without Borders. Phillips—one of the contributors to the National Poetry Month feature (In)verse over at WWB— spoke with me about the intersection of poetry and translation over at the WWB blog. The time is nearing: in late June or early July, the PEN American Center based in New York will launch an anthology of Brazilian writers that I’ve edited with Mirna Queiroz of Revista Pessoa. Writers include: Lygia Fagundes Telles, Brazil’s 2016 Nobel Prize bet; Elvira Vigna; Noemi Jaffe; Ana Maria Gonçalves; Alice Sant’anna; Ana Martins Marques; Marília García; Eliane Brum; Betty Mindlin; Maria Esther Maciel; and Adriana Lisboa. I’m so pleased to share that Words without Borders has been awarded the 2016 London Book Fair/Publishers Weekly International Literary Translation Initiative Award. Special congratulations go to Susan Harris, Samantha Schnee, Karen Phillips, Savannah Whiting, and to all who have contributed to the magazine’s success over its 13-year history, especially our translators and writers. I’m pleased to have such wonderful travel companions. 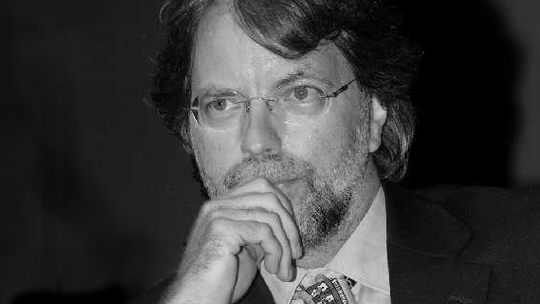 Glad to be able to share the link now to Mia Couto’s essay for The New York Times Magazine in my translation. My translation of Couto’s Rain and Other Stories is forthcoming from Biblioasis in January 2017. More good news rolling in: come April 3, my translation of a Mia Couto crônica will appear in the New York Times Magazine “Lives” column. This column often focuses on international stories. I won’t give away too much, except to say that the (true) story focuses on one of Mia’s trips to Brazil and the, err, surprise that awaits him there. I’m very pleased to share that the excellent World Literature Today has accepted one of my translations of a short story by Brazilian writer Lygia Fagundes Telles. Thought Telles is an absolutely fundamental writer in twentieth-century Brazilian literature, nearly all of what’s been published in English up to this point has gone out of print (with the notable exception of The Girl in the Mirror, republished by Dalkey Archive Press a few years ago). Look for it in the May 2016 issue of WLT. On February 7, I landed in São Paulo and have now moved on to Goiânia, a city about three hours outside Brasília, to work on the translation of a historical novel about the ignominious Anhanguera, an explorer during the colonial era in Brazil. Soon, on to Rio to work with Gabriel García Márquez and Juan Rulfo translator Eric Nepomuceno on a collection of his own short stories. Leading Brazilian literary journalist Josélia Aguiar wrote about the upcoming anthology of Brazilian women writers from PEN America, which I’m co-editing with Mirna Queiroz, and the #readwomen movement. If you read Portuguese, have at it! I’m pleased to announce I’ll be heading to Brazil for much of 2016 to work closely with two contemporary Brazilian writers to translate their works. My deep thanks to the Fulbright program for seeing the importance in my project. I’m eager to be working with Edival Lourenço and Eric Nepomuceno, among others, to translate their work. Great news: Mozambican writer and 2014 Neustadt Prize Winner Mia Couto is one of 10 finalists for the Man Booker International Prize. I’m currently working on one of his earliest and best short story collections (Estórias Abensonhadas), for which, as you might recall, I earned a PEN/Heim Translation Fund Grant. More on that once a firm publication date is set. You can find my essays on translating Couto here and here, and some stories here, here, and here, in such publications as The Massachusetts Review, PEN America, and Asymptote. I’m happy to announce that, as of February 2015, I’m joining the terrific world literature magazine Words without Borders. Since 2003, the monthly publication has led the charge to bring more literature in translation to Anglophone readers. Very pleased to be working with the terrific Susan Harris, Karen Phillips, and Joanna Meadows. You can find the announcement here. Alison Entrekin and I discuss her path to becoming a translator, her latest project—Daniel Galera’s Blood-Drenched Beard—and translating Brazilian writers. You can find it at the Asymptote blog. I’m thrilled to announce that my translation of the short story collection Estórias Abensonhadas (working title: Selected Stories) has received a 2014 PEN/Heim Translation Fund Award. My deep thanks for the PEN/Heim Translation Fund Advisory Council Members–Esther Allen, Barbara Epler, Sara Khalili, Michael F. Moore, Lorin Stein, and Lauren Wein–for selecting this work. More information can be found on the PEN American Center. Keep your eyes peeled for a forthcoming essay I’ll write about translating Couto, as well as a story from the collection to be featured on the PEN website. Asymptote‘s “Writers on Writers” series continues with Paulo Scott talking about the deep impact of 20th century Brazilian master Graciliano Ramos on contemporary Brazilian writers, in my translation. Since we’re in the thick of World Cup season (and in Brazil, the país do futebol, no less! ), hop on over to the Melville House Publishing blog where you can find my translation of Brazilian poet Carlos Drummond de Andrade’s newspaper article following Brazil’s loss to Italy in the 1982 World Cup in Spain. Three stories from 2014 Neustadt International Prize for Literature winner Mia Couto in the most recent issue of The Massachusetts Review. Very excited to share my translations from the Portuguese of three more stories from a collection by Mozambican novelist, poet, and essayist Mia Couto, now out in the latest issue of the Massachusetts Review. One of the stories is online at massreview.org. For the others, you’ll have to pick up a copy on newsstands! In the most recent issue of Words Without Borders, you can find my review of Steve Dolph’s great translation of Saer’s La Grande, out in June 2014 via Open Letter Books. Yeah, I liked it. But read on to find out why it should shoot to the top of your reading list. As many have no doubt heard by now, the astounding Mozambican writer Mia Couto was recently named winner of the 2014 Neustadt International Prize for Literature. My translation of his short story “Serpent’s Embrace”—never before translated into English—is now up on the Asymptote site. Read it because Mia’s the bomb.